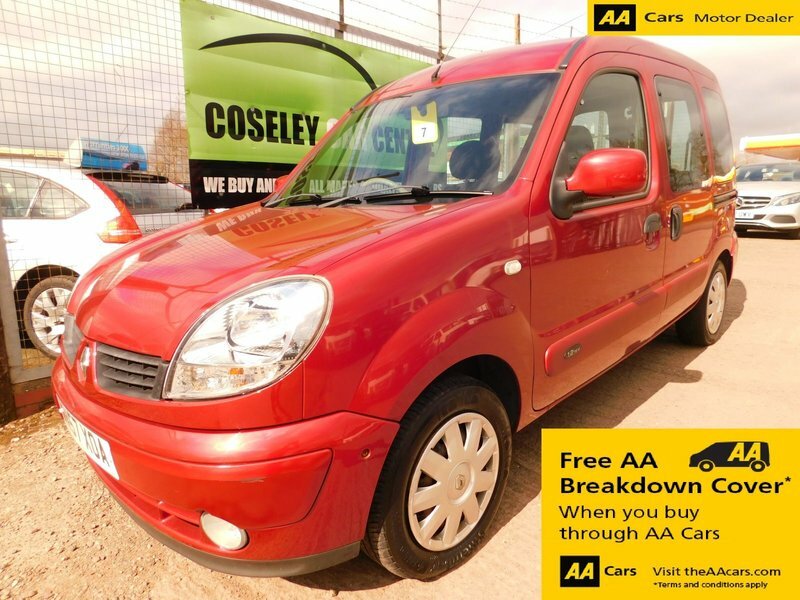 HERE WE HAVE A LOW MILEAGE RENAULT KAGOO COMING IN 'EXPRESSION' SPEC WITH WINE RED METALLIC PAINTWORK. THERE IS A FULL SERVICE HISTORY SHOWING 8 SERVICES AT 3K, 7K, 15K, 30K, 44K, 55K, 60K, 61K WITH A LONG MOT UNTIL FEBRUARY 2020. IT COMES WITH POWER STEERING, CD PLAYER, CENTRAL LOCKING, ELECTRIC WINDOWS etc etc. THERE ARE 2 KEYS, A FULL BOOKPACK, 3 MONTHS UPGRADEABLE WARRANTY AND 12 MONTHS FREE AA COVER AS STANDARD.